Charitable giving is a welcome gesture any time of the year, but it has a special resonance during the holidays, when people want to share fellowship and good cheer. 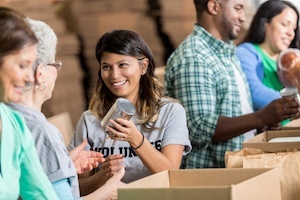 As you review your Springs luxury apartment home for items to donate, here's a list of helpful guidelines to make the most of your generous and giving spirit. Charitable organizations are a good option for clothing that no longer fits or you just don't want to wear anymore. They're not a place to dispose of items that are stained, worn out or otherwise unwearable. Double-check all clothes to make sure that they're clean with no holes or rips. By the same token, charitable organizations are not a repository for damaged and broken electronics, toys and games, furniture or household items. Either have them repaired first or take them to the appropriate recycling facility. 4. Bigger than a Bread Box? Imagine how frustrating it would be to lug a dresser or big-screen TV over to a charity's location only to find that they don't accept it. Call ahead to check before donating electronics, furniture, vehicles and other large items. Homeless animals need a helping hand, too. Animal shelters greatly appreciate donations of blankets, pillows, towels and other linens and bedding. If you entertain during the holidays, there's a good chance you'll end up with extra ingredients that go unused. Feeding America has a searchable database of food banks that will be happy to accept unopened non-perishable items. Not every charity accepts the same items. Charity Navigator has a searchable database to help you locate organizations by city and state or zip code. In addition, charities are rated on a four-star system so you can find the more trustworthy and efficient organizations. One item that all charities can use is cash. If you have a favorite cause that doesn't accept the items you have, consider selling them online or at a resale shop and donating the money directly. If you have the slightest question whether an item is acceptable, call your designated charity and ask first. Do you support a favorite charity? Tell us in the comments!